After very hot and dull weather for the last week or 10 days, our region will see more dynamic conditions during the week ahead as the high pressure system breaks down. This will lead to generally better rain chances and slightly cooler weather. As most everyone knows, a total solar eclipse will cross the United States today, in a line from Oregon through South Carolina. 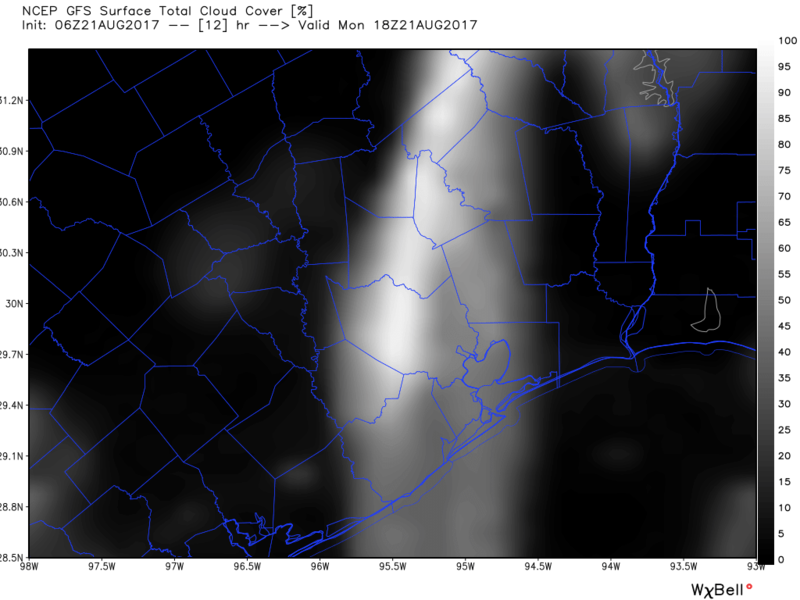 The Houston area will see about 70 percent of the Sun obscured by the Moon (do not directly look at the Sun), with the maximum coverage at 1:16pm CT. We are going to have to be concerned about clouds today, but for the most part they should be broken enough to see the phenomenon at times (the partial eclipse begins at 11:46am CT and runs through 2:45pm). I’d expect 40 to 60 percent sky cover for most of the area shortly after noon today. The region will also see some scattered showers and thunderstorms this afternoon as pressures fall and atmospheric moisture levels rise, which could be hitting around the time kids are coming home from the first day of school. Where it doesn’t rain, look for highs in the low- to mid-90s. These will be typical summertime days in Houston, as there will be no major forcing events for our weather. With slightly lower pressures, look for highs in the mid-90s, with partly sunny skies, and about a 30 percent chance of showers and thunderstorms during the afternoon and early evening hours. By Wednesday night a cold front should be moving through north Texas and down toward the Houston area, but as of now it appears as though the front will wash out north of the region, or along Interstate 10. 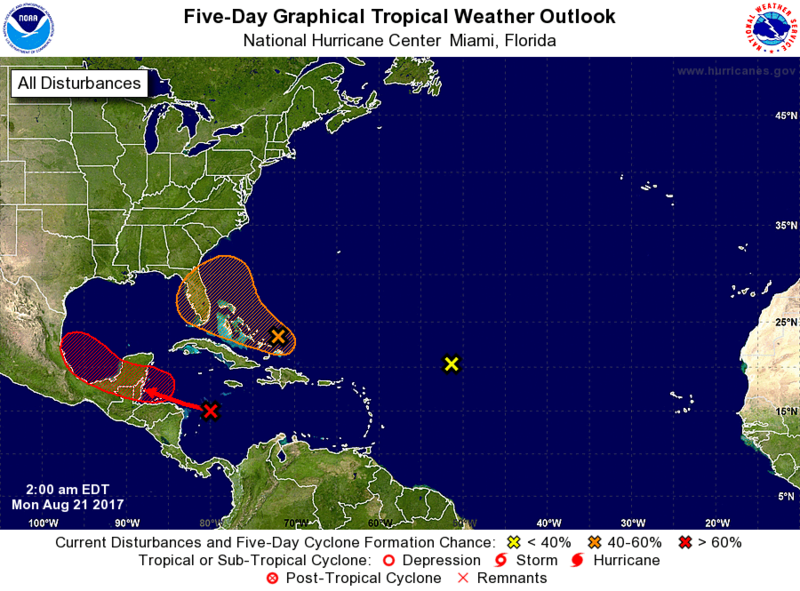 At the same time moisture from the remnants of Tropical Storm Harvey (which has degenerated into an open wave, but will have moved into the Bay of Campeche by then) may spread into Texas. One or both of these factors could bring some healthy rain chances to the region to end the work week (some areas may see an inch of rain or quite a bit more), and will probably limit high temperatures to the lower 90s. This weekend’s weather will largely be determined by the aforementioned moisture from Harvey. If enough of it moves into the Texas coast, we could see a couple of inches of rainfall or quite a bit more, and if not, it could be drier and hotter (mid-90s). Not a particularly helpful forecast, is it? Check out NASA and other scientific posts related to the “Carrington Event” of 1859. Sometimes an eclipse can cause one. The weather held out for a great viewing at Freeman Library in Clear Lake. LPI was there and we easily had 3000 people come through. Hate to ask this, Eric (or Mark) but will this result in anything like the severe weather encountered during Tax Day, or, more recently, the August 8 street flooding event. 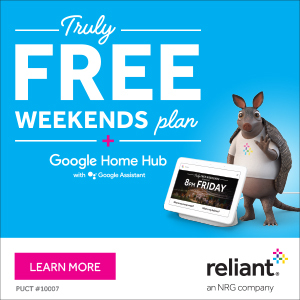 Does this REALLYL pose a threat to SE Texas? I mean, with the NAM 12 and the NAVGEM show landfalls pretty close to port O’Connor, should I be worried? Yes, I’m starting to become a bit concerned. See our Tuesday morning post. So am I being greedy in saying that I was disappointed in our partial eclipse today? I didn’t get glasses, but was at least expecting some partial darkness or signs that the eclipse was happening (cooler temps, stronger winds, etc.) especially after watching how amazing it was in the areas of the nation lucky enough to be in the path of totality. I will definitely head to Austin or Dallas in April, 2024, but would it have been at least a little more interesting if I had glasses today? Re 2024, hopefully my family members in Dallas still are there at that time. That gives me a “hotel” and more importantly, a parking space!